 Planning camping or glamping holidays in UK family campsites? Taking the children? Check Alice Abels essential tips for a memorable trip. A child in a Bumbo seat on a family campsite keeps them safe while you're cooking! Breaks in UK campsites make great, inexpensive and memorable family holidays, explains Alice Abel, and a bit of planning will make all the difference to your trip. Camping with kids isn't for everyone. For many, the words children and campsites uttered together are enough to cause a shudder, but if done right it can be a great holiday, filled with opportunities to make lasting memories. In UK family campsites there are lots of outdoor activities for kids and family friendly facilities to keep everyone happy. All you need is a little bit of camping know-how. This year we’re planning several camping trips with our 3-year and 18-month old boys, essentially because we couldn’t think of a more fun holiday to have with them. We know spending time outdoors is good for you, so they (and we) are going to love the adventure, the fresh air and the unrushed time together. However, there are a few things to consider before packing up the tent. Think carefully about the kind of campsite you’d like to be on. Would you prefer ‘back to nature’ or something more organised? This will probably depend if you're a camping beginner, how old your children are, and perhaps how adventurous you’re feeling. There are many different types of family campsites in the UK. These range from tent-only pitches, sites where you can also rock up with your motorhome or touring caravan to fully equipped sites for glamping, campervans and holiday homes. Whatever your preference, you will be able to find something to suit your family. Consider what there is to do in the local area. In the summer months especially, there are often free family events such as town and village fairs, caravan rallies, festivals and attractions. 2. Have a back garden camping holiday first! This is definately a camping for beginners trick, especially if you’re thinking of going far a-field or on a longer camping trip with a tent. Plus it can be great fun for the children. A garden camping trip will help you decide what to pack for camping (taking the stress out of packing later), and you can check that everyone is warm and comfortable enough to sleep well in a tent. It will also give you a chance to see what games and outdoor toys to take, the best clothes for camping with kids and what cooking equipment you'll need to make your meals. If you a planning a holiday in a tent with toddlers or young children, you should take a tent with a communal area big enough for your whole party to gather together. This way you can still enjoy each others company even if the weather isn't good. There are plenty of tent choices on the market, and it's asking for recommendations from other family campers on tents with a living space as well as plenty of room to sleep. If you do find yourself rained in while you are away, be mindful of the risk carbon monoxide poisoning from using gas cookers, heaters and lights in enclosed spaces. Pitching your tent also gives you the opportunity to spot any defects before you rely on the tent for protection. Being familiar with how to pitch up will help you to set up camp quicker on the day, helpful when there are children around. Throw in as many spare layers and blankets as you can; being cold is guaranteed to ruin anyone and everyone’s mood. Plus, you can sleep on them for extra padding. Your packing list should involve plenty of spare socks, jumpers and lots of layers. I recommend taking blankets as well as sleeping bags, in case of sudden changes in temperature or accidental spills. They’ll come in handy for more than you could imagine (but go for biodegradable varieties if you can). Other essential supplies include toilet paper, kitchen towels, soap, a first aid kit and rubbish bags. To minimise risk, designate a clear cooking area when you set up and if possible try to ‘barrier’ children away from it. Whether you can do this or not, it’s common sense to explain to children where it is safe/unsafe to play when cooking on site. Taking a small folding table helps to get cooking equipment off the floor where it is less likely to get knocked over. It is also worth checking where the nearest shop is to your campsite, for emergency rations! Often larger sites have mini-marts onsite and some farm camping sites have fresh eggs and other produce available. If you're really struggling with campsite cooking, some sites even have a tearoom with local treats such as cake and fresh produce. Campsite cooking can be more challenging than being at home, but embrace the simplicity and plan basic meals before you set off on your trip. Campsite cooking can be made easier by cooking meals at home that can be re-heated. If this doesn’t take your fancy or safe campsite food storage is an issue, there are several camping cookbooks available with easy, fun, tasty and often unusual ideas to please everyone. We all need a break from baked beans on toast sometimes! It pays to plan your packing and how you will organise it when you arrive at the campsite, especially when camping with children. After that, it can be much more fun to make it up as you go along. Check out the facilities of the campsites. Many of the larger child friendly family camping sites have their own attractions and activities for children. This varies from playgrounds, organised events to evening entertainment. If you have older children and your site allows, relish the campfire experience. It’s not just about sitting around and enjoying a chat or a song or two. It’s also about the fun to be had alongside your kids while collecting wood and setting up. You'll need to pack waterproof matches, and fire lighters can be useful as well, in case the wood which you collect is damp, and don't forget to set up buckets of water and sand as a safety precaution. Be sure to check the campsite's rules before setting a campfire, and keep an eye out for sites which provide fire pits. If you’re pushed for organisational time or aren’t quite ready to go the whole hog first time, consider taking a short-cut. You could rent a static caravan, a chalet or even try glamping with kids. There are some great holiday homes to hire for a variety of budgets. There will be very little to sort out when you arrive, making it a great option for those arriving with tired and hungry kids. If it means more fun for everyone then perhaps it's the perfect family camping trip. Choose from tents, pods, yurts or teepees, or the Youth Hostel Association (YHA) even offer Camping Barns with varied facilities. Location planning. What are you looking for from your holiday? Practice makes perfect - have a run-through before you pack up and go. Choosing your tent for the family's needs can save a lot of tantrums. Pack thoroughly - There's nothing worse than realising you've forgotten something vital. Take wet wipes as one of your essentials. Add in a touch of spontaneity and resist the urge to plan your every move. It's ok if you don't want to go back to basics! Glamping is becoming very popular as a fuss-free break. If you're considering taking your children to a family campsite in the UK, check out our selection and have a great time making memories!